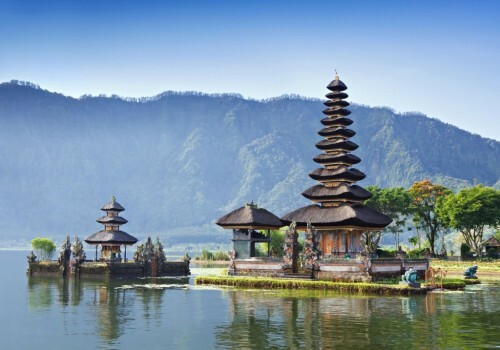 Cheap flights to Denpasar, Bali for only €421! China Eastern Airlines now offer amazing prices on flights to Indonesia. 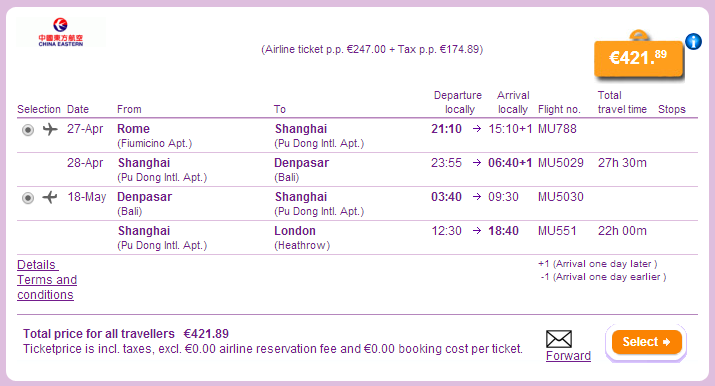 Multicity flight Rome – Denpasar (Bali) – London will cost you only €421 now! This offer already includes 23 kg of luggage and is the lowest price since launch of Rushflights 1 year ago! Departure is also possible from many other cities like Frankfurt, Warsaw or Prague for higher price. Travel dates are in April and then in October. Book via Budgetair for the best price (click on “Show extra search option” to enter return to London). Bali offers all kinds of accommodation from cheap hostels for budget travellers to super luxurious suites in 5 star hotels for really good prices starting at few Euros per night. « Cheap flights to Greece: Warsaw-Thessaloniki for €46!